I posted a picture on Facebook highlighting my hydroflask (my favorite water bottle) and received requests to share the products. I have the 32 oz which comes in a variety of colors and different sizes but I like this size because I don’t need to keep refilling as often. I live in Arizona and the summers are brutal. I throw some ice cubes in, water or organic mint tea with a splash of organic juice and even if I leave the bottle in the car for hours on a hot summer day; it is still ice cold. The flask comes with a lid but I purchased the straw attachment which makes drinking easier. 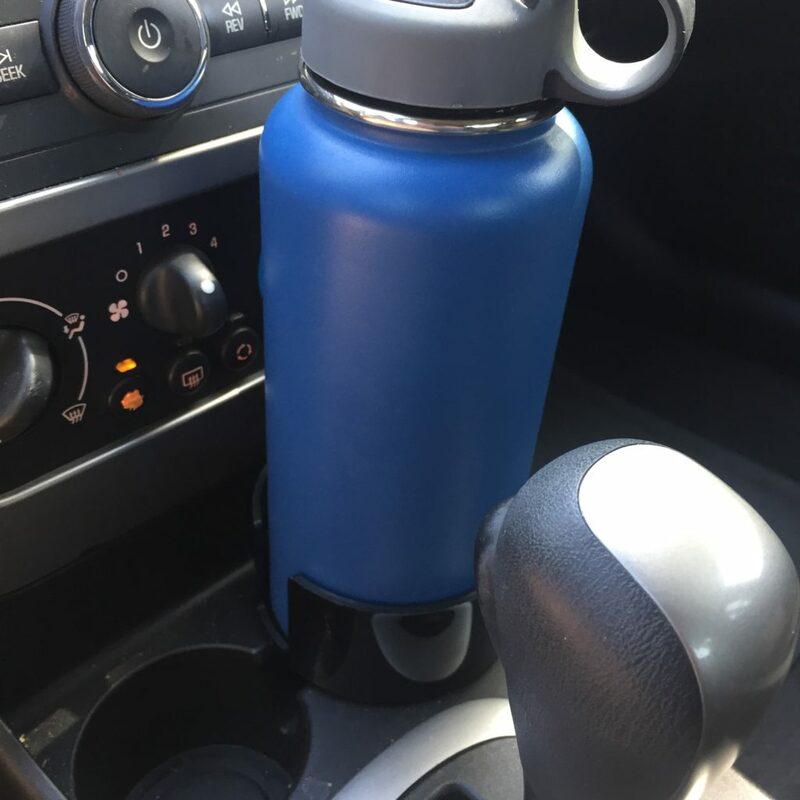 There was only one problem – the flask didn’t fit in my car’s cup holder which meant I placed it in a small box on my driver’s side seat so it didn’t bounce around. But in early July, I discovered that a hydro flask cup insert for the car had been created. I ordered it and looked forward to it arriving. When it first arrived I was disappointed because I didn’t think it was going to fit and accidentally dropped it, only to discover that there are layers on the bottom of the insert that can be removed. Once I took off a layer, it fit wonderfully. It also comes with a velcro piece that can be inserted in the inside part of the holder to create a more secure fit. I’ve linked up the products up above in case you are interested. Note – Deliciously Inspired utilizes affiliate links to help with the cost of the site.